President Obama visited Cuba today, making this the second time, and first since 1928, that a US President has ever visited the country while in office. Obama met with Raúl Castro, the current leader of Cuba, in the Cuban capital city of Havana to discuss future relations with the still-communist nation. Diplomatic relations with Cuba were severed in early 1961 because of the rise of Fidel Castro as well as his association with the Soviet Union, and were only reinstated on July 20th, 2015. Castro and Obama held a private meeting before moving on to a public exchange where several questions were taken from reporters – something rarely seen in Cuba. Castro dismissed most of the questions directed at him, likely unused to the format in a country with generally limited public involvement in government. 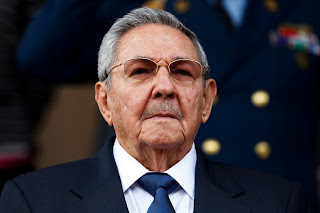 Both he and the US president had much to say, with Castro requesting an end to US control of Guantánamo Bay, as well as a termination of embargoes on Cuban goods. He also rejected accusations of political prisoners being held in Cuba, saying that if the reporter who brought up the subject could “give [him] a list, right now,” he would release the prisoners. When discussing human rights issues in Cuba, Castro defended the Cuban government’s policy of universal healthcare and education, calling those the “most sacred” human rights of all. Obama acknowledged the difference in viewpoints and goals between the US and Cuba, but promised that America would not attempt to replace communism in the island nation. This meeting, while lasting only a day, will likely be remembered as a historic milestone in rebuilding relations in the post-Cold War era.